In addition to making numerous finalist lists, the flying seagull brand was the proud recipient of no fewer than four prestigious awards last year. At the World Yachts Trophies 2017 in Cannes, the award for Best Layout was won by Andiamo, the 48m steel and aluminium displacement yacht launched in June (CCN’s 41m Elsea also won an award as Revelation of the Year). Baglietto was the recipient of a Premio 100 Eccellenze Italiane 2017 (100 Italian Excellence Award 2107). Created by the publishing house Riccardo Dell’Anna Editore with the backing of the Italian government, the awards aim to reward outstanding companies like Baglietto that define Made in Italy excellence recognised around the world that is based on cultural heritage, know-how and high quality. 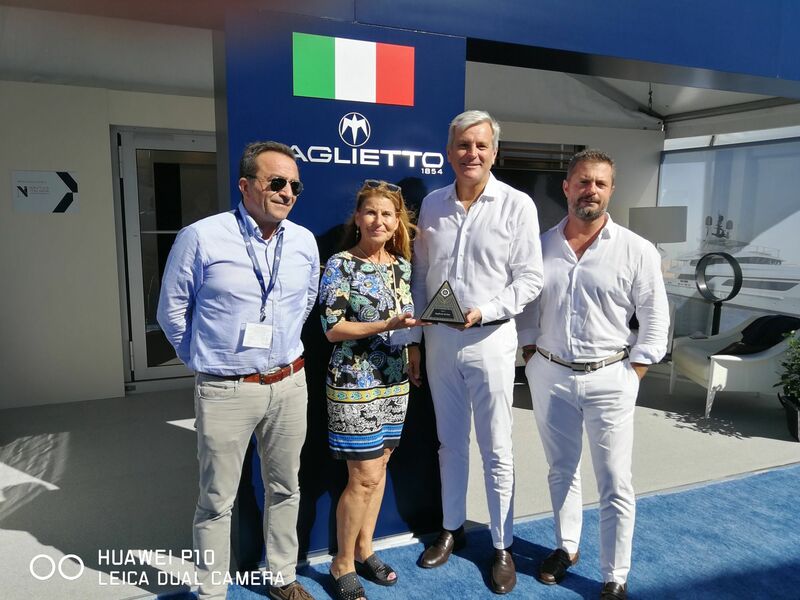 Then in early December, Baglietto received the Best Italian Client Award 2017. 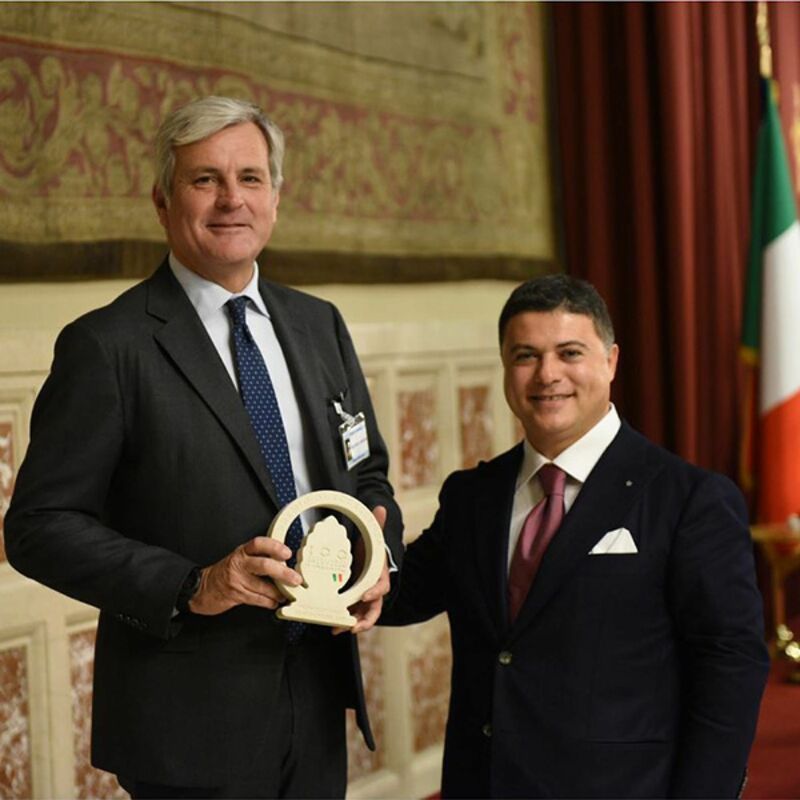 Awarded by Lloyd’s Register Italia, the prize recognises the invaluable contribution of leading companies to the country’s nautical sector and, in the case of Baglietto, for its ability to provide clients with reliable products and cutting-edge solutions built to the highest quality standards. Following on from the sale of 46m Fast Lucky Me, in July Baglietto sold a new 54m displacement yacht in aluminium (hull no. 10231) to an American owner. Three months later in October, a new contract was signed with a European client for a 55m steel and aluminium yacht (hull no. 10225), with the help of Edmiston’s Cornelius Gerling acting as owner’s representative. 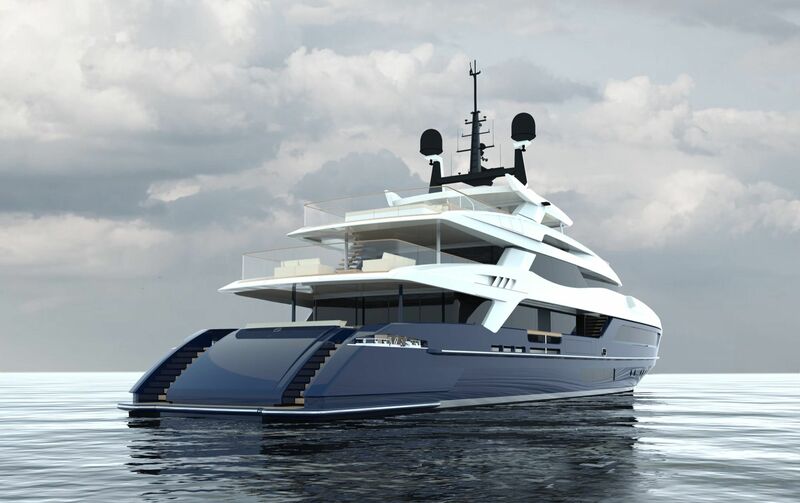 The confidential 54m project is based on a brand new technical platform expressly tailored to meet the owner’s requests in term of comfort and style. Built to the highest class of Lloyd’s Register, the vessel will have a 10.40m beam and a transatlantic range of 4,500nm at a cruising speed of 12 knots. The 55m (pictured) designed by Francesco Paszkowski is based on the T-Line platform and embodies Baglietto’s distinctive aesthetic features. The layout, however, has been extensively customised and features six cabins. Further details are confidential at this point, but the design includes a huge beach club and a sundeck of 160 sqm. Baglietto’s ability to build on speculation means faster delivery times and the yacht is due for delivery in 2019.